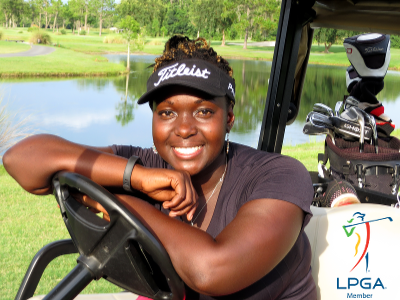 Mackenzie Mack is one of the top female golf instructors operating out of the Tampa Bay area in Florida. Mackenzie has a rare set of qualifications as a golf instructor; having been the lead instructor in several settings. She has worked extensively with children, five to sixteen years of age: teaching golf camps, coaching high school golf teams, and giving private instruction to kids. Mackenzie teaches golf to adults as well, leading golf clinics for groups of adults: male, female, and coed; and also provides traditional one-on-one golf lessons. Groups of ladies especially enjoy the well paced, golf lessons where the women can putt, chip, and swing under the watchful eye of an LPGA certified instructor while enjoying the social atmosphere. All instuctees starting with Mackenzie get the same professional, personalized treatment. Tampa has dozens of golf courses, public and private, spread across the entire metro: St. Petersburg, Clearwater, South Tampa, North Tampa, Palm Harbor, Brandon, and Lakeland. Notably, Tampa is home to Rogers Park, with its rich African American heritage; and Innisbrook, prestigious grounds popular with PGA professionals.